This Bike Pic Monday, reflect on fond memories of riding into the morning sun, with warmer weather ahead. We found this biker chick in the HFB Archives riding the Tour D’ Amico last year on the fourth of July. What better way to continue your fun than finding your #NextBikeAdventure. See all the great ideas and bike destinations in the 2019 Bike/Hike Winter Planning Guide. Then plan your next outing with family and friends in one of Minnesota’s HaveFunBiking Destinations. 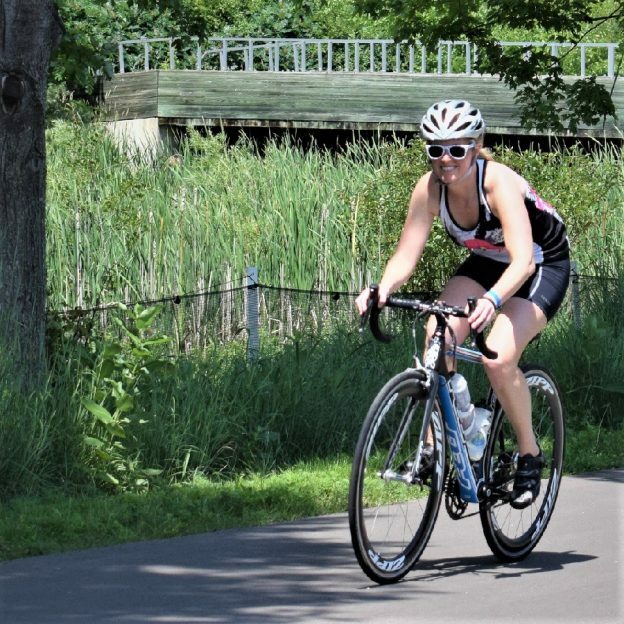 This entry was posted in Picture of the Day and tagged Bike Minneapolis, Bike Pic Mar 25, Fourth of July, HBC, Hiawatha Bicycling club, Tour D' Amico, Tour D' Amico bike ride on March 25, 2019 by Russ Lowthian.